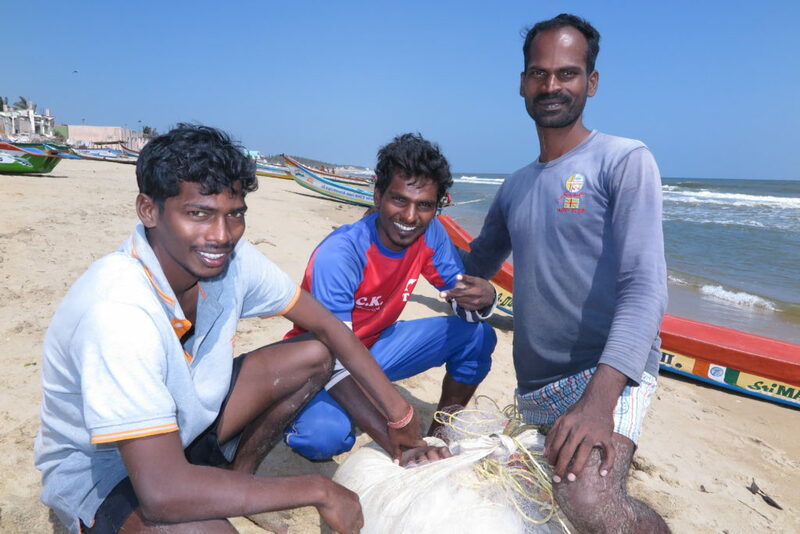 CHENNAI, India – Unlike India’s other immense cities Chennai is a world apart. Tamil Nadu’s capital city does not have crowds of beggars trolling intersections like in Delhi. It is not nearly as traffic jammed as Mumbai. Its homes are well cared for, and many of its office buildings are new and Miami white, unlike the sagging and dilapidated built environment that describes Kolkata. The most distinguishing feature, though, for an American journalist who has visited Indian cities and states across much of the country: Chennai’s tidiness. It’s unusual in a nation where thick blankets of paper and piles of bottles lie in the streets and alongside the highways. Household garbage, shoulder high, blocks alleys. The unkempt big cities and soiled countryside are like a metaphor for the bedlam that is contemporary India, an ambitious and crowded nation of 1.3 billion people. Chennai is different. Quite a bit different. The city’s Bay of Bengal beaches sport garbage bins that people use. Municipal sanitation workers haul away accumulating refuse. The attention to appearances and street level hygiene is part of an unspoken culture of diligence and confidence that Chennai’s residents, well-to-do and poor, have built for themselves and their city. Chennai’s residents know India’s fourth largest metropolitan region is on a roll. Jobs are plentiful. Incomes are rising. The city’s capable universities produce graduates that technology companies are anxious to hire. Chennai’s residents also know they exist in an “at any moment” geography of peril, almost all of it due to ecological torment. In the last two years Chennai has been blasted by a typhoon, drowned in a flood, and challenged by the worst drought in 140 years. People are unnerved, for sure. 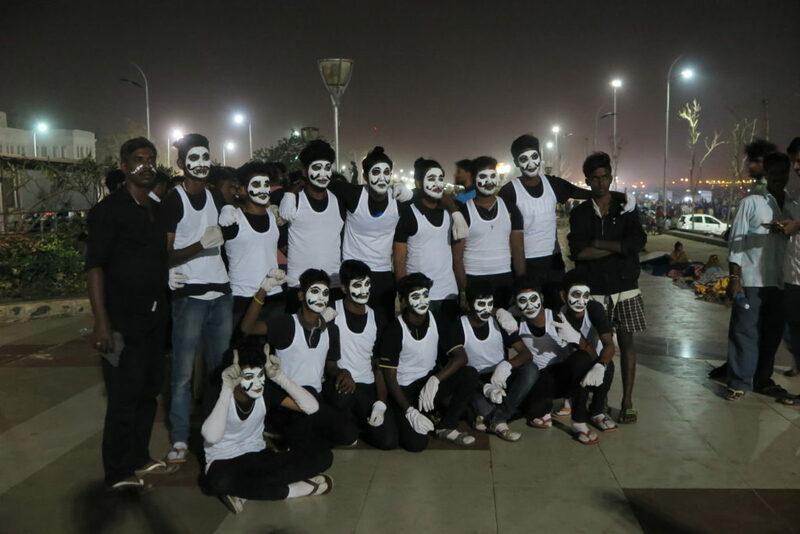 In January a student protest on Chennai’s main beach grew into a statewide strike and mass demonstration of grievances that attracted millions of participants. But even during the week of active public dissent Chennai’s residents stayed so centered and cheerful that parents brought their children to protests just to witness how a great city displays its collective discomfort. On Marina Beach, Chennai’s primary locus of protests, volunteers guided cars to available parking spaces. Vendors offered cups of tea at no charge. An army of people, young and old, gathered up all of the bottles and paper and food waste that had been dropped in the sand. Straightening up after the party, an especially impressive display of public civility, is seen as a civic responsibility. TITN: This is Tamil Nadu. In that same spirit, here are other points of interest from my latest trip to India. Spices and great meals. In India, like in New Orleans or San Francisco or France, it’s tough to find a bad meal. Indian food is superb. Northern India features dal and naan, the spicy sauces and flat bread that accompany them. In Tamil Nadu it is pepper mutton and chicken thirakal served with baby onions. Tamil meals are spicy and they grow hotter as you move south. Restaurants serve steamed rice cakes with shrimp. Chicken is cooked with onions, tomatoes and chilies. All sorts of fresh vegetables appear on lunch and dinner tables, served with baby onions in a tamarind paste. We dined on mashed sweet potato, coriander, ginger and asparagus accompanied by peanut and sesame chutney. Coconut palms are native species throughout Tamil Nadu’s subtropical landscape. Coconut milk gravy accompanies side dishes, among them fried rice flour dumplings. Cashews are an important cash crop on Bay of Bengal coastal farms south of Chennai. Cashews served with yogurt seasoned with spices are a specialty. For dessert eateries offer mahilampu puttu — ground rice powder with sugar and coconut. Every day was a feast of pleasant surprises. TITN: This is Tamil Nadu. Banana leaves and no fork. Speaking of meals. Plates, knives, forks, and teaspoons are rare in the restaurants of southern Tamil Nadu. In the state’s smaller cities and farming towns meals are served on big green banana leaves and eaten with the right hand. The only utensils are serving spoons that wait staff use to dole out portions of vegetables, meat, curries, and rice in individual small mounds on the leaf. Diners mix the various ingredients together with one hand and then scoop food into their mouths. The key digit is the thumb. It pushes food from the palm into the mouth. 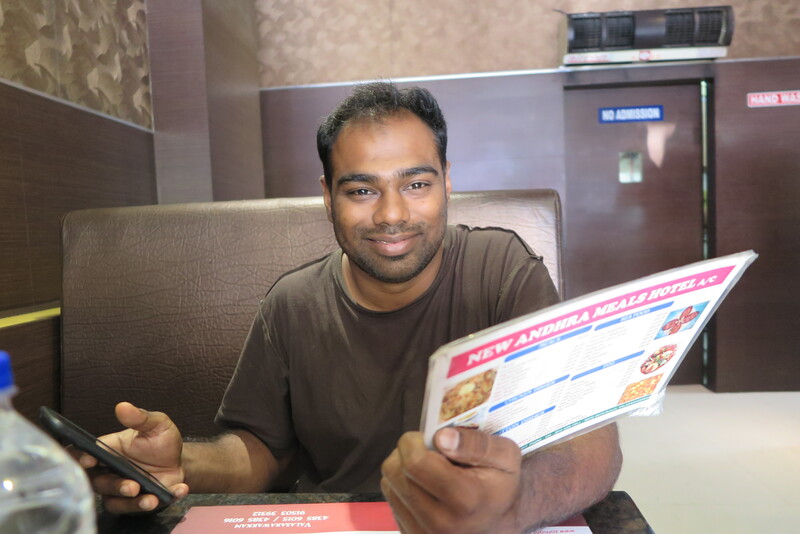 The first few times I tried eating Tamil-style, most of the food landed on the table or in my lap. I was rescued by a colleague who showed me the usefulness of my thumb. Rituals of hygiene and recycling follow the meal. Diners indicate they are finished and satisfied by folding the banana leaf side closest to them over any uneaten remnants. Folding from the distant side of the leaf indicates dissatisfaction. The leaves don’t go to waste. They are collected and recycled as food for cattle. Restaurants provide wash stations for cleaning up after the meal. Safety everywhere. I was raised in a suburb close to New York City when crime was at its peak in the late 20th century. I spent seven weeks last year in South Africa, where 24-hour vigilance is a way of life. I spent time in the Philippines, which struggles with such pervasive drug addiction and drug-related violent crime that President Rodrigo Duterte’s campaign of extra-judicial killings, condemned internationally, is widely supported by Filipinos. Tamil Nadu, in contrast, has no aura of menace. None. Everywhere we traveled – big cities, rural towns – streets were safe. People welcomed visitors. Shop owners were honest in pricing goods and returning exact change to foreign visitors. The state’s newspapers were not filled with stories of rapes, child murders, and family violence as they are in other regions of India, particularly in the north around Delhi. Tamil Nadu crimes occur, of course. But India’s national statistics show that crime rates have been falling in this state of 78 million residents. Compared to the unpredictable, frightening outbreak of mass shootings in the United States and Europe, Tamil Nadu’s violent crime rate is strikingly low. The police, for instance, reported 1,748 murders in Tamil Nadu in 2015. In California, which is half Tamil Nadu’s size, the police in 2015 reported 1,861 murders. Tamil Nadu’s security is a reflection of the culture of stability and friendliness that is prized all across the Bay of Bengal state, and becoming rarer elsewhere in the world. Culture of Decency and Skill. One of the cultural traits that is immediately evident in Tamil Nadu is how well people treat each other. Tamil people are uncommonly decent and respectful to friends and to strangers. It was so refreshing to journey across a land of such good will. Over the course of the trip I interviewed and broke bread with lawyers, farmers, parents, children, innkeepers, drivers, shop owners, factory workers, doctors, and activists. Everyone was so civil and patient and interested. 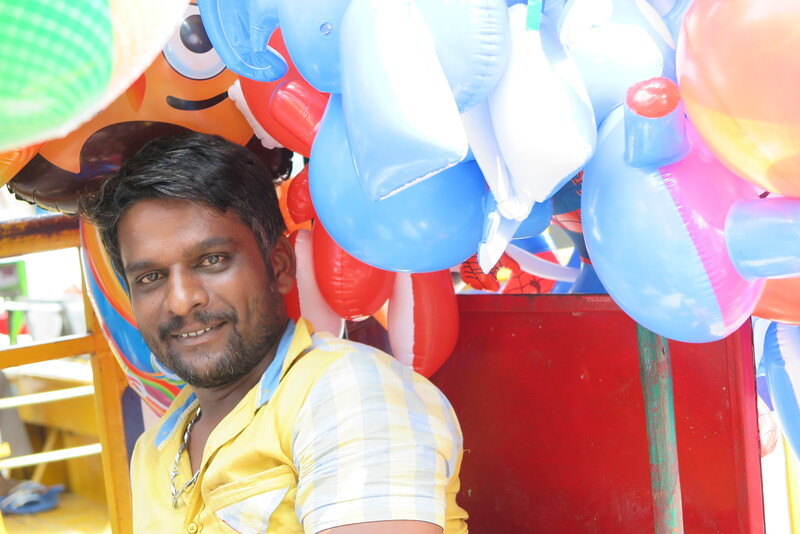 One young entrepreneur in Chennai stands out. Pryanjoli Basu is a Chennai dressmaker and designer who markets her colorful and stylish handmade women’s clothing from a growing online platform. She lives in an airy beach district apartment with her husband Varun and baby son Kabir. 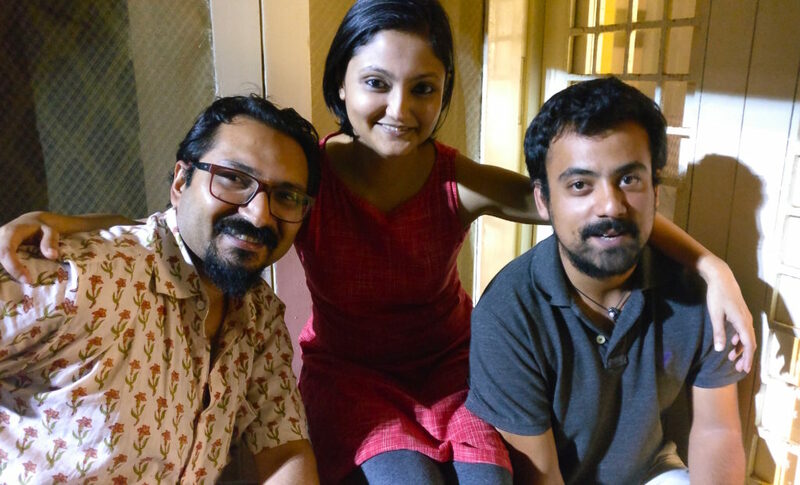 Priyanjoli and Varun are close friends with Dhruv Malhotra, who photographed the Tamil project and two earlier Circle of Blue projects in India. I spent two evenings with Priyanjoli and Varun at the start and the end of the trip, enough time to become dear friends. Both times Priyanjoli made it plain that I was more than welcome in her home. She served the most engaging meals. Her house was alive with friends and relatives, including Varun’s brother Rohan, a playwright in New York, who was in town on vacation. I ordered several of Priyanjoli’s dresses. Before I returned to the United States the dresses arrived at my hotel, expertly folded and wrapped in brown paper. Priyanjoli fixed a bow and a handwritten personal note to each that wished the wearer well. Spontaneous Protest. India is internationally famous for its mass protests. I’ve reported on big demonstrations that closed down construction of a 2,000-megawatt dam in Assam. Three years ago the Wilson Center and Circle of Blue produced a short film, “Broken Landscape,” that included scenes of a march and public protest in Meghalaya following the court-ordered shutdown of the northeast state’s dangerous coal mines. In Tamil Nadu I witnessed how a small student demonstration on Chennai’s main beach on a Sunday afternoon in January steadily grew into a statewide strike and big street demonstrations in communities across the state. Millions participated. The galvanizing issue was a court order that banned Jallikatu, a popular and ancient harvest festival sport involving young men clinging to the humps of compact bulls. Other grievances – drought, farmer suicides, Coke and Pepsi sales, low wages – seeped into the demonstrations that evolved into a mass performance theater of cultural pride. By Wednesday that week our path was blocked by boys and young men staging sitdown protests in the middle of two-lane highways. The next day, the demonstrations grew larger and trade associations called for shopkeepers to close their stores. 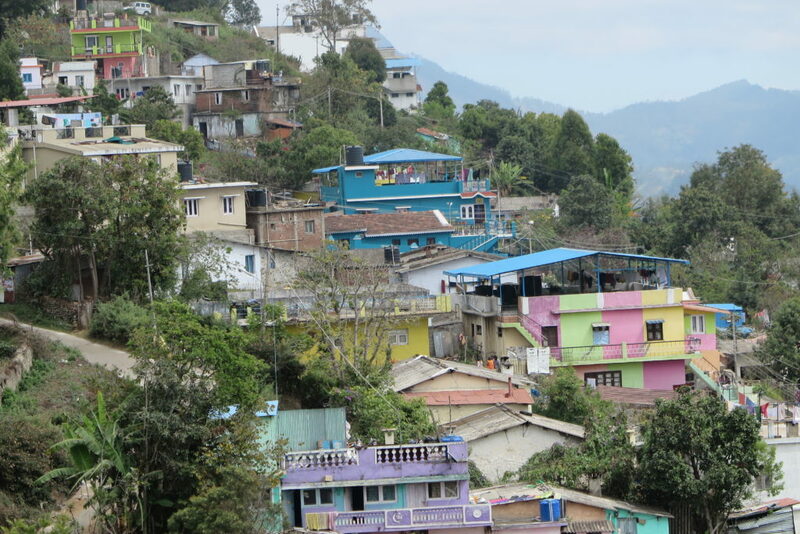 We were in Kodaikanal, a Western Ghats mountain town on Thursday night as business owners talked about taking the day off and participating in street demonstrations on Friday. Schools, government offices, stores and restaurants closed. On Saturday we headed back to Chennai and passed protests that had attracted thousands of participants. The peaceful beach demonstrations in Chennai over the weekend were attended by an estimated one million people a day. By the time the demonstrations subsided early the following week Tamil Nadu state officials rescinded the ban on Jallikatu. The Jallikatu awakening occurred the same week that millions of American women and men participated in demonstrations protesting the Trump administration. I recognized a big difference between the two events. In the United States big protests are generally planned well in advance. Americans have limited time and full schedules. In the United States, demonstrations last a few hours and then people go back to what they were doing. The value of spontaneous protest and persistence, and flexible schedules, is alive in Tamil Nadu. The world would be wise to follow suit. TITN: This is Tamil Nadu.